Polio transmission deemed interrupted in Ethiopia by 4th polio external assessment; final decision awaited by Horn of Africa Final Assessment on 17 June. Assessment recommendations include sustaining polio achievements for “polio legacy” in Ethiopia. Addis Ababa. 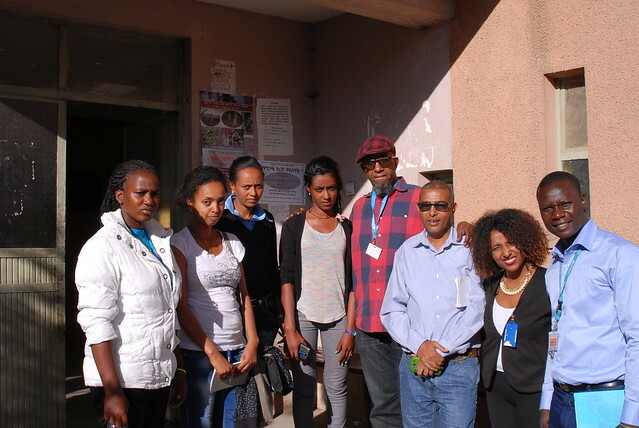 From 8-12 June 2015, the 4th Polio External Assessment took place in Addis Ababa, to review the progress to date of the polio outbreak response, and determine the quality and status of the outbreak in the country. 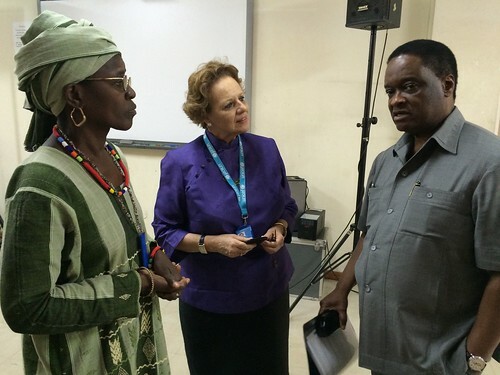 The assessment team was led by WHO and included members from CDC, Core Group, the Gates Foundation, UNICEF and others. The assessment team looked in detail at key elements of the polio programme including surveillance, campaign quality, communication, vaccine supply and logistics and other factors contributing to the interruption of the polio virus transmission. On Friday afternoon, 12 June, the external assessment team debriefed His Excellency Dr. Kebede Worku, State Minister to the Federal Ministry of Health of Ethiopia along with Dr. Pierre Mpele-Kilebou, WHO Representative to Ethiopia; Gillian Mellsop, Country Representative to UNICEF Ethiopia along with key polio partners, and reviewed findings of the week-long assessment. The overall conclusion was that the assessment believes that transmission in Ethiopia has been interrupted and called for sustained government support to ensure sustained gains. 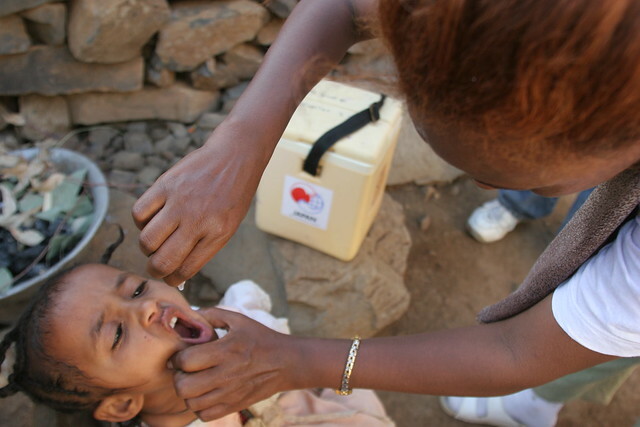 Since the onset of the Horn of Africa (HOA) polio outbreak in May 2013, Ethiopia responded intensively. Following confirmation of cases in Somalia and Kenya, the first confirmed WPV case in Ethiopia was in August 2013 in the Somali Region resulting in a total of 10 WPV type-1 (wild poliovirus type 1) cases in the Doolo Zone of Somali Region. The last WPV case was confirmed in January 2014 — nearly 17 months ago – an indicator of interruption of transmission due to the intensive vaccination response, which includes 14 vaccination campaigns reaching children in all corners of the country with OPV (oral polio vaccine), including 4 rounds of National Immunization Days (NIDs), targeting between 12 to over 14 million children. All campaigns were supported with intensified communication and social mobilization activities, and engaged partnerships for solid community awareness, knowledge and acceptance of OPV. H.E. 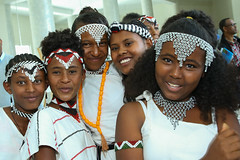 Dr. Kebede responded enthusiastically to the assessment outcome, and stated, “The outbreak was closed due to the frontline teams and practioners on the ground.” He expressed support and said to value the recommendations to strengthen routine immunization, surveillance and quality SIAs (campaigns), which will benefit children and the health system in general. H.E. 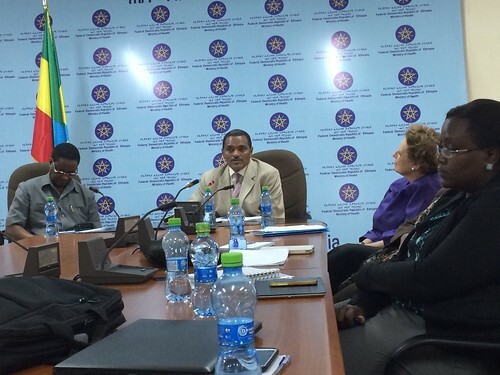 Dr. Kebede expressed gratitude to the leadership of the regional governments, particularly in the Somali Region. He appreciated efforts of community leaders, including religious leaders of the Islamic Affairs Supreme Council, who played a key role in the outbreak response. Dr. Kebede thanked Dr. Pierre Mpele-Kilebou, for his commitment, and for his frequent visits to the outbreak epicenter, Doolo Zone of the Somali Region. He also welcomed Gillian Mellsop, as the new Country Representative to UNICEF Ethiopia and appreciated both partners for their contributions along with the other Polio Eradication Initiative partners such as CDC, Core Group, the Gates Foundation and Rotary International. 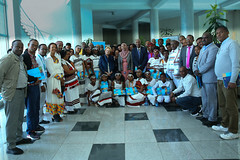 Dr. Pierre Mpele-Kilebou and Gillian Mellsop, congratulated the Ministry of Health on their achievements, expressed their support for the polio programme, and acknowledged the importance of drawing on the successes and lessons learned for the “polio legacy” in Ethiopia. Final recommendations will be delivered to the Horn of Africa countries, government representatives and partners on 17 June 2015 in Nairobi at the Horn of Africa Outbreak Final Assessment Debriefing. 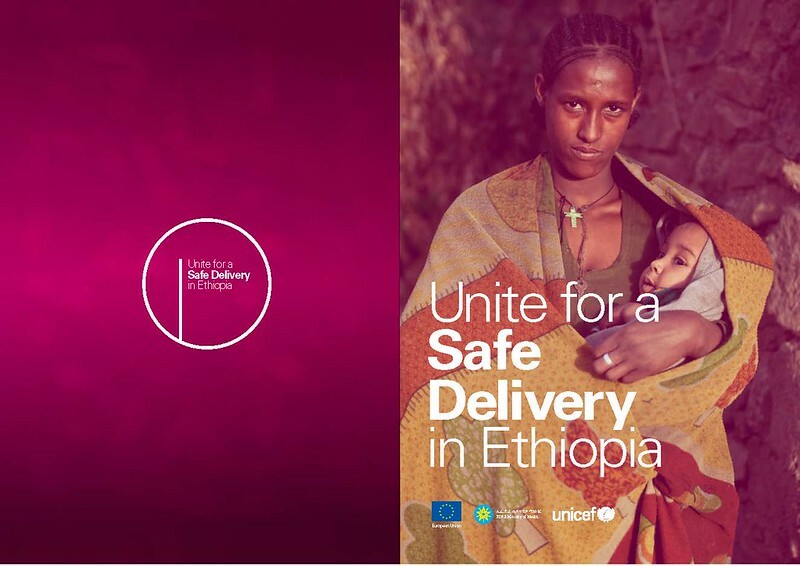 WHAT: High Level Launch of the “Enhancing Skilled Delivery in Ethiopia (ESDE)” project with a €40.2 million grant by the European Union (EU) to Federal Ministry of Health and UNICEF to improve maternal and new-born health. 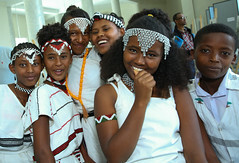 WHY: Ethiopia has made remarkable progress in promoting primary health care service facilities through the Health Extension Programme which led to the reduction of major public health challenges including tuberculosis, malaria and child mortality. This in turn has contributed greatly to the achievement of MDG 4 of reducing child mortality three years ahead of the 2015 deadline. MDG 6 of halting the spread of HIV/AIDS, Malaria and TB are also well on track. Despite this improved trends, MDG 5 – Improvement of maternal health – remains the only MDG goal that is not on track as we approach 2015 and now it the time to put it on the spotlight. WHAT: Media visit to health facilities to demonstrate the partnership of the Federal Ministry of Health, European Union and UNICEF in maternal and new born health- ahead of the high level launch of European Union’s donation of €40 million for Enhancing Skilled Delivery in Ethiopia (ESDE) Project. WHY: According to EDHS 2011, Ethiopia has one of the highest maternal mortality ratio in the world estimated at 676 maternal deaths per 100,000 live births far from the MDG target of 267. The most critical period of care for maternal and neonatal mortality reduction is skilled birth attendance. However, availability and uptake of this service had remained stagnant until recently. In addition, despite the improvements in reducing under 5 mortality rates, neonatal mortality rate has also remained stagnant showing no significant reduction from 39 in the 2005 to 37 in 2011. Therefore, maternal and neonate health are now the top priorities in everyone’s agenda. Accordingly, Butajira Hospital and Health Center have been selected as model facilities that give full maternity service and continuum of care including neonatal care and a coordinated referral system for this visit. This media visit is organized by Federal Ministry of Health, European Union and UNICEF. A media pack regarding the sites will be prepared and shared with you . A resource persons will be on board to respond to your queries. Please confirm your attendance starting from today up to Monday for logistics purpose.